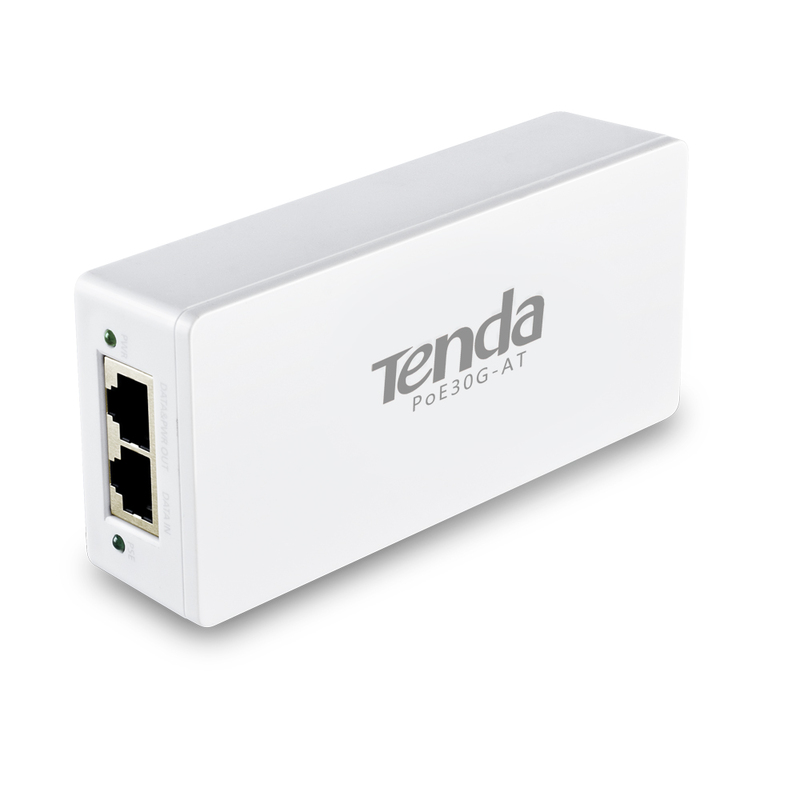 The Tenda PoE30G-AT is the IEEE802.3 AT Gigabit PoE injector, which fully conforms to the standard of wtih 802.3, transmitting power through Ethernet cable, the maximum transmission distance can reach 100 meters. The PoE injector has two Ethernet gigabit data ports and an output port combination of data and power. In addition, the device can be used for Ethernet device IEEE802.3af/ compatible PoE power applications such as wireless AP, VoIP phone and web CAM. The power supply of Ethernet cable not only provides system reliability, traditional power grid expansion, but also simplifies the deployment of power lines. The standard cat’s power distance can be extended to 100 meters. The device can extend the range of PoE power over long distances, and simplify the deployment of power lines so that PD equipment can supply power. 10/100M/1000Mbps autosensing RJ45 port provides fast data delivery, supports wire speed forwarding and MDI/MDIX, plug and play.